Founded in 2009 by brothers Jamie and Lyndon Cormack, Herschel Supply Company adopted the name of a small town where three generations of their family were raised. 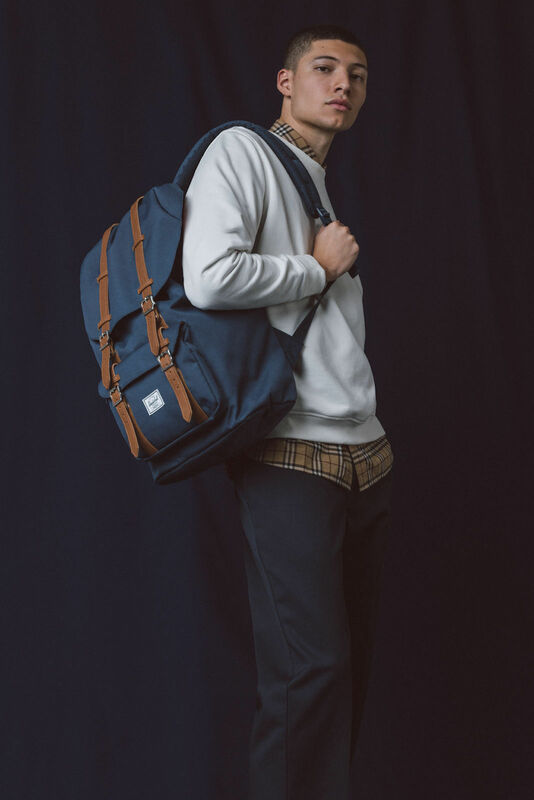 Herschel Supply Company is based in Vancouver, Canada and manufactures the finest quality backpacks, bags, travel goods, apparel and accessories. Our goal is to create timeless product with a fine regard for detail. Urban Trade has been working with Herschel since 2013. Urban Trade Finland is a multi-brand fashion agency, representing premium quality brands, such as Alpha Industries, Fila, Herschel, Jason Markk and Stüssy, for top retailers in their segment in Finnish and Baltic markets.